Shep found herself up in Lairg at the start of the week. A trip which had been arranged for quite a while and which the week previous seemed unlikely to take place, however, at the eleventh hour there was light at the end of the tunnel and off to Lairg I headed. 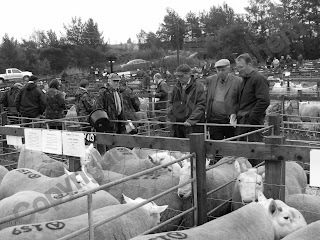 Curiosity regarding the breed and its characteristics drew me up there along with the fact that Lairg auction is one of the few traditional auction sites remaining in our country today. No concrete and clanging of metal gates, no roofing over the pens - two wooden auction rings, grass pens and wooden gates and I may add as it was inclement weather there were clarts (mud) under foot! Just like the good old days when Bellingham Mart existed. A traditional, homely place full of character and warmth, friendly and vibrant. It was a long way to go to bump into neighbours, Northumberland was well represented as was the whole country with a contingent from Wales as well as further south. Everyone is looking to produce a better class of store/fat lamb from their ewes and there is no doubt about it these sheep have carcase and will undoubtedly be hardy individuals. Most are sold at 2 or 3 shear (years old) enabling them to mature naturally, not fed on pounds of cake to reach the size, therefore they ought not to melt when set out with ewes on the hard hill ground. 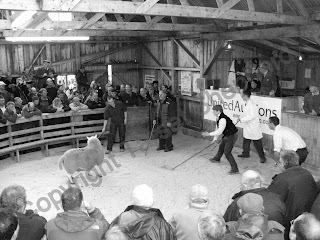 There are two auction rings at Lairg and whilst the tups were being sold in one the female breeding sheep were going under the hammer in the other. Ewes were also a flying trade, the sheep pictured below were off Armadale, Thurso and realsied £110 (each), quite a price for a draft ewe nearing the end of her days, being an older sheep she'll be expected to produce twins and hopefully have a further two years breeding in her. 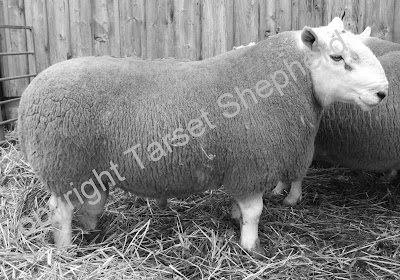 The fat trade is so good at the moment that these big heavy ewes are most likely worth £60 just to kill so that puts a good bottom in the market. 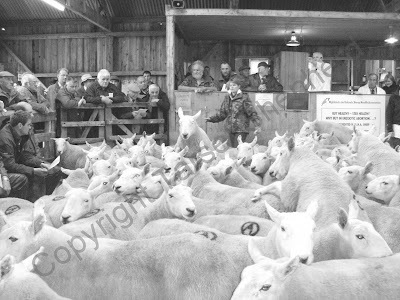 These particular ewes were outstanding, hence the reason I followed them through the ring and even at the price they made you would be pleased to take them home.